The type of investors you have drastically changes what you need to do to raise capital, the risks your company will incur, and how much it all costs. Understanding the difference will save you money and a lot of wasted energy. 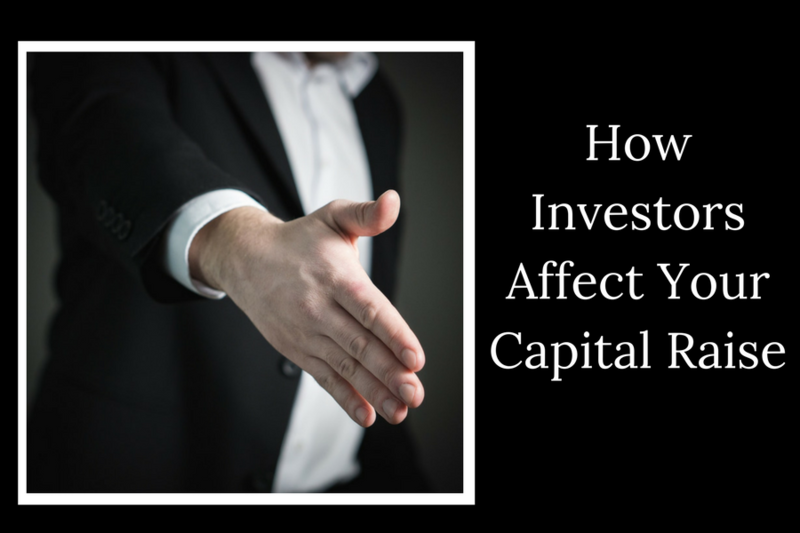 This effect is so drastic that—depending on the amount collected from an unsophisticated, or even unaccredited but sophisticated, investor—at times we advise clients not to raise capital from those investors. That’s right—we advise some clients to “leave money on the table.” Why? Sometimes, adding an unaccredited investor to a raise to bring in an additional $3,000 increases the cost of the raise more than $3,000, in addition to the added delay and risk. The first takeaway from this article is, if you can reasonably limit your raise to only accredited investors, do it! The time, cost, and risk will be significantly lower. Capital raises involve two levels of government: the federal government (the Securities and Exchange Commission—SEC) and state equivalents. To make sense of what each will require for your raise, we first need to discuss how the federal and state governments classify investors. These classifications range from “accredited investors” (who are viewed as possessing the experience, information, and/or finances to best understand and weather the risks), to “sophisticated investors” (who possess such attributes to a lesser extent), to “unaccredited investors” (who may not possess significant business or financial savvy, or substantial assets). is purchasing the equity for investment purposes only (not purchasing it for a short-term sale). The investor is a director or executive officer of the company (and thus is viewed as having clear knowledge of the risks involved). The investor’s net worth exceeds $1 million (excluding the value of her or his primary residence). The investor has a historic and reasonable expectation of continuing income over $200,000/year, $300,000 a year if filing jointly with a spouse. The investor is a trust or other entity meeting various asset or membership requirements. There are nuances to the above classifications. However, the above provides a general idea of what an accredited investor looks like. Similarly, sophisticated investors must be business-savvy, economically stable, and be purchasing the equity as a long-term investment. However, those similarities are superficial; with an unaccredited investor, the process and risks are a whole new ballgame. When a company includes unaccredited investors, it requires additional disclosures, often including audited financial reports. These are expensive (tens of thousands of dollars) and, for a small raise from an unaccredited investor, just not worth it. Federal (and state) authorities require that the unaccredited investor has sufficient business and financial experience to fully evaluate the merits of the risks involved. This may sound simple, but if things go south, what your company considers “sufficient experience” may not be what the federal or state authorities do. “Sufficient experience” is no small thing, and regardless, you want to avoid a situation where you have to defend your position to a regulator. Some states see all unaccredited investors as only unaccredited investors—with no recognition that some unaccredited investors are “sophisticated.” That means, depending on the states you’re raising capital in, if investors aren’t accredited, certain states will be unavailable to you as a practical matter. Even where a state recognizes “sophisticated” investors, what that means in a given state varies—as does what additional requirements having a sophisticated (rather than accredited) investor imposes on your company. Again, these additional requirements can be so substantial a capital raise with unaccredited investors just won’t make sense. When all your investors are accredited, you’re most likely looking at a Section 506 (of Rule D) raise. This involves a fairly straightforward, two-step filing with the SEC (with no fees), followed by similar filings with any state in which you raise capital. The complexity of state filings vary, with some states not requiring filing for Section 506 raises, to electronic filing, to limited additional requirements. When a state requires a filing, the fees usually run several hundred dollars for each state. If any investors are unaccredited, you’ll most likely have to do a Section 504 raise. The requirements for these types of raises vary drastically based upon which states you are raising capital in. The SEC requirements also vary, often requiring substantial increases in the information that must be collected and disclosed by the company to unaccredited investors. Where a capital raise involves non-accredited investors, some states require those investors to be sophisticated—or requires further disclosures, fees, and formal processes (read: if your investors aren’t at least sophisticated, most raises just aren’t economically feasible for smaller companies). Our firm does not accept clients we feel are trying to hide anything—nor should any attorney (at least if he or she wants to keep his or her law license). That you do not intend to hide information—and commit securities fraud—is a given. But offerings involving unaccredited investors increase the time, expense, and risk involved. First, if your raise requires that your unaccredited investors are “sophisticated,” you are accepting risk that it might later be determined (perhaps during an audit) that those investors were not sophisticated. This could lead to fines and penalties—and if it’s found that you weren’t acting in good faith in identifying those investors as sophisticated—even prison. Second, the more disclosures you make, the more likely you might get something wrong—even with the best of intentions. When such disclosures require you to expressly commit or even estimate how funds will be used, it limits your company’s flexibility in later assigning capital where it is needed, as your company weathers a volatile and ever-shifting landscape. Third, some of the additional disclosures—such as how funds will be allotted, financial records, and financial projections—are things you’ll need to spend additional time to generate entirely or to a level of exactness sufficient to be included in an offering. Remember: if you get it wrong, there are potential, and serious, consequences. Best practices is to limit your capital raise to accredited investors. Consult with an attorney early, and long before you need the money from the capital raise to keep your company going. There are various strategies to limit your raise to accredited investors, and various considerations to make based upon which states your investors are located. Ultimately, there’s no point in a complicated offering that requires additional costs, time, and risks to return only marginally-higher capital. Assure your offering is the capital raise that is right for you.